This fragment in finely-detailed, raised relief is divided into two sections (see the general scene overview). The lower section depicts a horizontal register of hieroglyphs giving the titles of Ankhaf. The upper section depicts portions of the legs and feet of two figures facing left. Between the figures is the hieroglyph ‘niwet’. On the lower section are traces of tan-brown pigment on the background of the hieroglyphs, and traces of green pigment on both of the horizontal bands above and below them. On the upper section are traces of reddish-brown pigment on both feet of one of the figures, and gray pigment on the horizontal band below the feet. 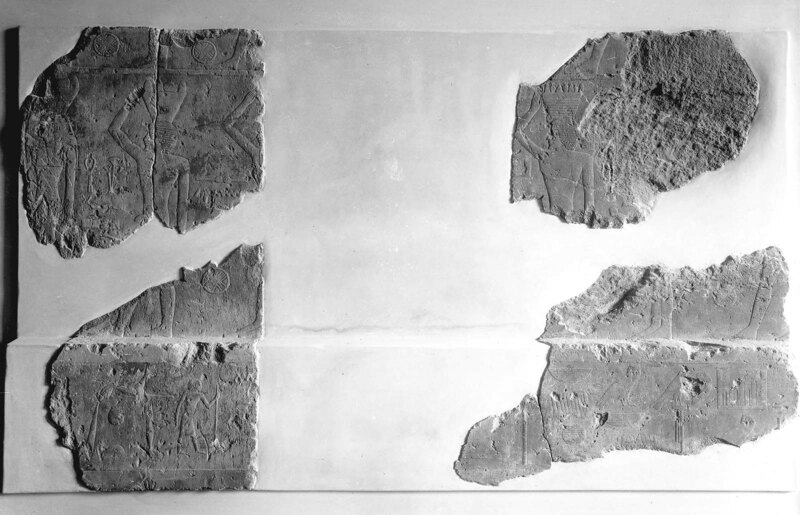 Overall 34.1468a-f is a group of six fragments of the finest low relief. They all belong to a very fragmentary scene of a procession of figures from estates bearing offerings. Below this register is a projecting ledge of stone. 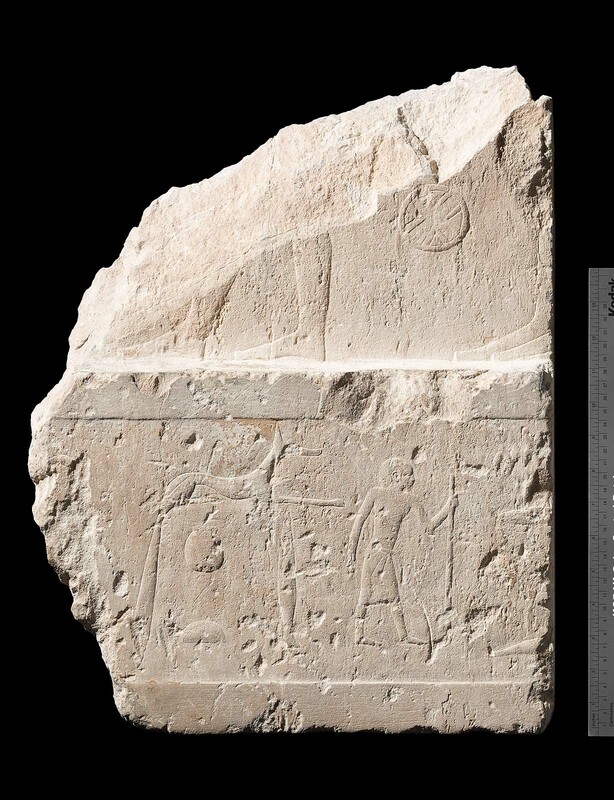 On the face of this projection is written a wide horizontal band of hieroglyphs giving the name and titles of Ankhaf. There are traces of color. From Giza, tomb G 7510 Ankhaf. 1925: excavated by the Harvard University–Museum of Fine Arts Expedition; assigned to the MFA by the government of Egypt.